The auction items are available for inspection and direct sale before May 11. Heavy haulage and heavy equipment rental firm NQ Group has appointment Manheim to manage an auction of its fleet in Brisbane next month. 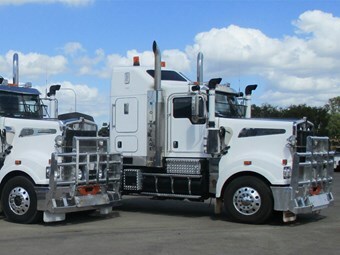 The auctioneering company says NQ Group is undergoing a fleet rationalisation move in order to align its fleet "to better service current market conditions". "NQ Group has a range of late model equipment for auction as part of our rationalisation strategy post the acquisition of CQ Group in 2015," NQ Group CEO Brendan Webb says. "Aligning our fleet with market needs means we have a number of high quality assets available for sale." While the auction is scheduled for May 11 at Eagle Farm, Manheim says the assets are available for purchase through direct sale prior to the event. The auction items are available for inspection at Manheim’s Brisbane location. To view the catalogue of auction items and details about the sale, visit the Manheim website.